THUNDERSTORM F603B - SOS Safety International Inc.
THUNDERSTORM F603B 3% × 3% AR-AFFF concentrate is formulated using a new and proprietary technology. The foam concentrate has a dramatically reduced viscosity as compared to other 3% × 3% listed polar solvent type AFFF concentrates on the market. THUNDERSTORM F603B 3% × 3% AR-AFFF concentrate is formulated using a new and proprietary technology. The foam concentrate has a dramatically reduced viscosity as compared to other 3% × 3% listed polar solvent type AFFF concentrates on the market. 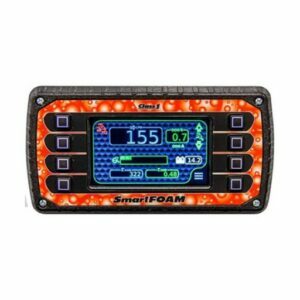 This reduced viscosity enhances performance in all types of foam proportioning equipment including in-line eductors, balanced pressure systems, and built-in systems aboard CFR vehicles. 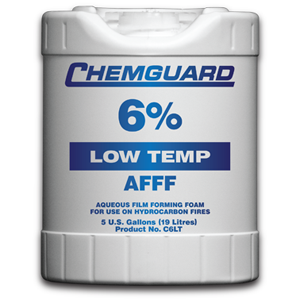 Additionally, the firefighting performance of THUNDERSTORM F603B is superior to other AR-AFFF foam concentrates. This includes the blended gasoline additive Methyl Tertiary Butyl Ether (MTBE) which is being used as an oxygenate to make gasoline cleaner burning. THUNDERSTORM F603B concentrate offers many distinct advantages for ease of use and represents a continued commitment to quality by improving the fire performance of this type of agent on gasoline products while still maintaining high performance levels on other hydrocarbons and polar fuels. THUNDERSTORM F603B concentrate is formulated from special fluorochemical and hydrocarbon surfactants, high molecular weight polymers and solvents. It is transported and stored as a concentrate to provide ease of use and considerable savings in weight and volume. It contains no PFOS or PFOA ingredients. It is intended for use as a 3% proportioned solution on hydrocarbon fuels and as a 3% proportioned solution on polar fuels in fresh, salt or hard water. It may also be stored and used as a premixed solution in fresh portable water only. THUNDERSTORM F603B concentrate is biodegradable. There are three fire extinguishing mechanisms in effect when using THUNDERSTORM F603B solution on either a conventional Class B hydrocarbon fuel such as gasoline, diesel fuel, etc., or a Class B polar solvent (water miscible fuel) such as methyl alcohol, acetone, etc. First, an aqueous film is formed in the case of a conventional hydrocarbon fuel, or a polymeric membrane in the case of a polar solvent fuel. This film or membrane forms a barrier to help prevent the release of fuel vapor. Second, regardless of the fuel type, a foam blanket is formed which excludes oxygen and from which drains the liquids that form the film or the polymeric membrane. Third, the water content of the foam produces a cooling effect. Refractive Index = 1.3580 min. THUNDERSTORM F603B 3% × 3% AR-AFFF concentrate is a non-Newtonian fluid that is both pseudoplastic and thixotropic. Because of these properties, dynamic viscosity will decrease as shear increases. THUNDERSTORM F603B can be used on either conventional Class B fuel or the polar solvent type Class B fuels. Its excellent wetting characteristics make it useful in combating Class A fires as well. Because of the low energy required to make foam, it can be used with both aspirating and non-aspirating discharge devices. To provide even greater fire protection capability, it may be used with “PKW™” dry chemical extinguishing agent without regard to the order of application. Hydro-Chem™ Technology is a recommended application for dual agent use on a three dimensional fire. Due to the velocity of the dry chemical discharge, care must be taken not to submerge the polymeric membrane below the fuel surface when using twin agents on polar fuels. The fire performance of THUNDERSTORM F603B is measured primarily against Underwriters Laboratories Standard 162 (Latest Revision) and the Williams Fire & Hazard Control Plunge Test. The UL testing focuses on fuels such as heptane and isopropyl alcohol while the Williams Fire & Hazard Control test focuses on premium unleaded gasoline. THUNDERSTORM F603B was formulated to provide superior performance on all fire tests, especially important is performance on high octane gasoline. When used with fresh, salt or hard water at the correct dilution with most conventional foam making equipment, the expansion will vary depending on the performance characteristics of the equipment. Aspirating discharge devices produce expansion ratios of 5:1 to 10:1 depending primarily on type of aspirating device and flow rate. Non-aspirating devices such as handline water fog/stream nozzles or standard sprinkler heads give expansion ratios of 2:1 to 4:1. Medium expansion discharge devices produce typical expansion ratios between 20:1 to 60:1 depending primarily upon type of device and operating conditions. The minimum and maximum usable temperature for THUNDERSTORM F603B in this equipment is 35 °F (2 °C) to 120 °F (49 °C) respectively. Since THUNDERSTORM F603B is a unique blend of surfactants, high molecular weight polymers, and solvents; it is recommended that it not be mixed with any other foam concentrates. Consult Williams Fire & Hazard Control with any questions of compatibility. Tests have been performed with THUNDERSTORM F603B verifying its compatibility with standard carbon steel “black” pipe and pipe manufactured from various stainless steel or brass compounds. 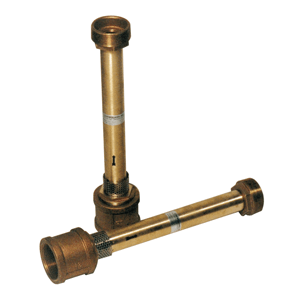 Alternative pipe, plastic fittings, and valves may be used in some cases if acceptable to the customer and/or the authority having jurisdiction. Galvanized pipe and fittings must not be used in areas where undiluted concentrate will contact them since corrosion will result. Please first consult Williams Fire & Hazard Control for specific guidelines concerning materials of construction. As with any fire extinguishing agent, THUNDERSTORM F603B, whether in the concentrate or premixed form, should be inspected periodically. NFPA 11 ‘‘Standard for Low Expansion Foam and Combined Agent Systems’’ recommends that samples of foam concentrates stored in containers other than unopened original manufacturer containers should be submitted to the manufacturer or other qualified laboratory for quality condition testing at least annually. Contact Williams Fire & Hazard Control for further information on annual inspection. F603B is currently UL Listed. The UL Listed Application rate for Hydrocarbons is 0.10 gpm/sq. ft. The UL Listed Application rate for Alcohols is 0.10 gpm/sq. ft. In addition to determining agent characteristics, Underwriters Laboratories lists THUNDERSTORM F603B concentrate for use with specific hardware components that also carry the U.L. listing. THUNDERSTORM F603B is available in pails, drums, totes or bulk shipment. F603B is biodegradable, low in toxicity and can be treated in sewage treatment plants.